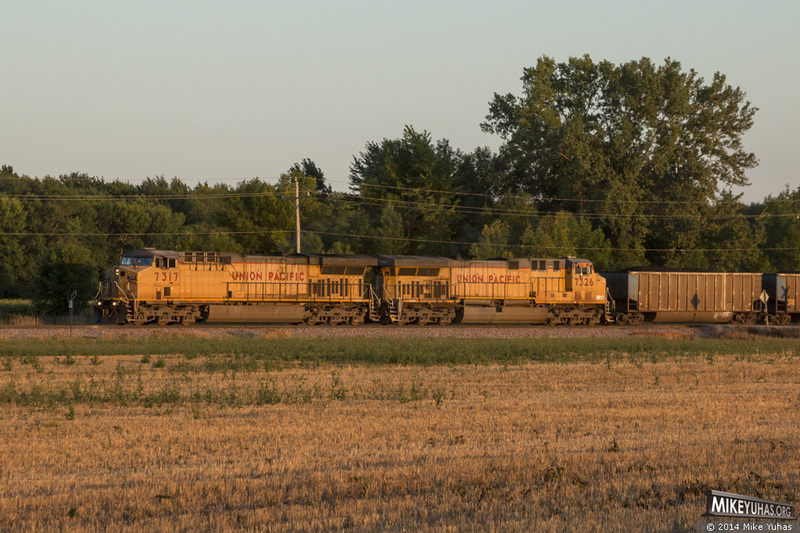 A pair of 1998-vintage AC4460CWs lead a Sheboygan-bound coal train north on UP's Shoreline Subdivision. These locomotives were built with 4400 horsepower prime movers, with the intention of being converted to 6000 hp at a later date, once the 6000 hp technology was perfected. That perfection never occurred, so the units remain 4400 hp, as built.